Base Platform required for all add-ons. 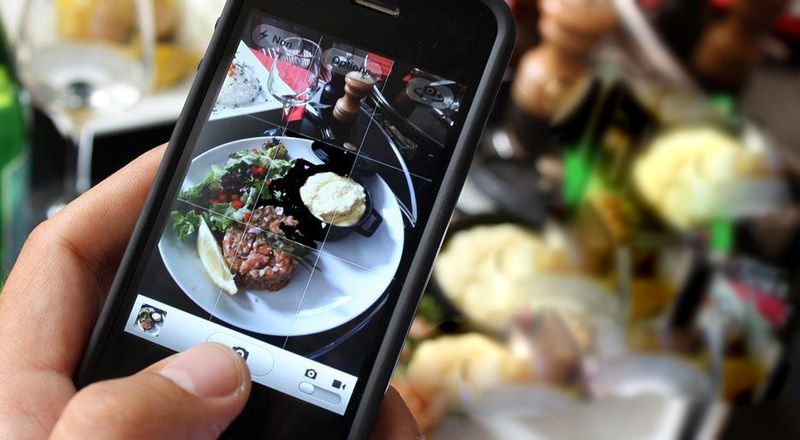 We know how important marketing your restaurant is and how challenging it can be having to use multiple sites and platforms to do it. Fear Not! We put everything you could possibly want to offer and share with your Diners all on one platform to make it easier for you. 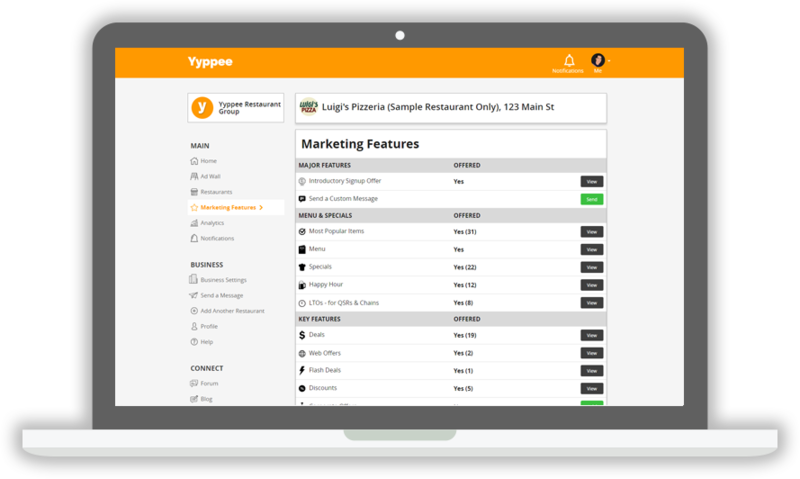 See a complete breakdown of every customer interaction with your restaurant. 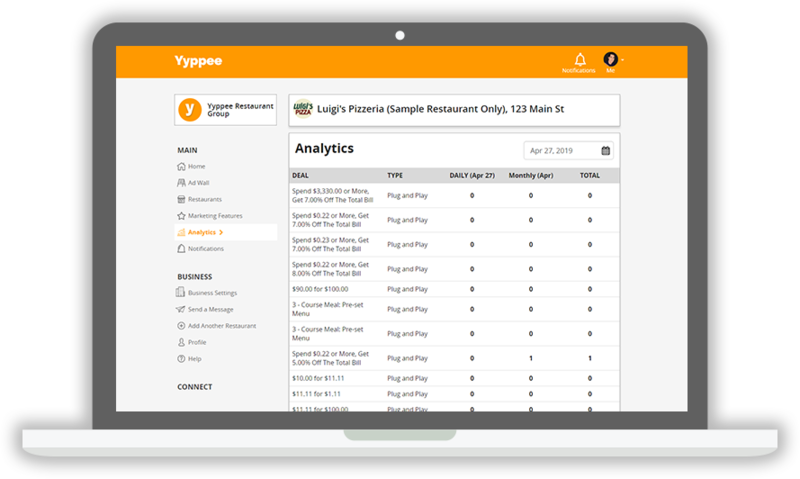 Each interaction is tracked instantly and updated in your restaurant’s analytics within seconds. Reach out to customers directly on their mobile devices whenever you want to let them know about anything you want. You can even attach a coupon or flyer along with your message. Never lose an order because customers can’t find you. 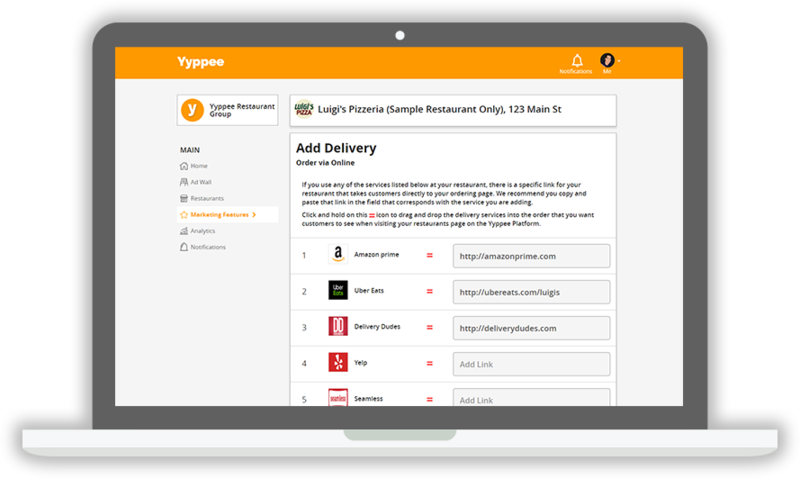 Let your customers know all the 3rd party delivery services you use. 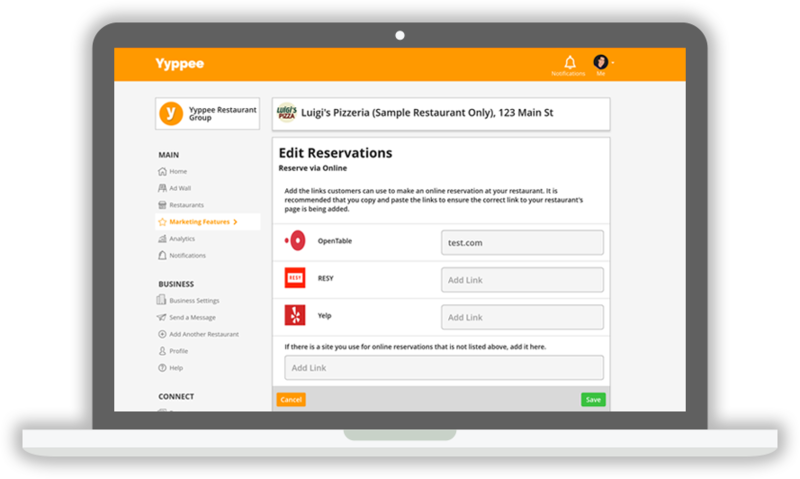 Make it easy for customers to make a reservation at your restaurant. You control the links they use to help keep your costs down. 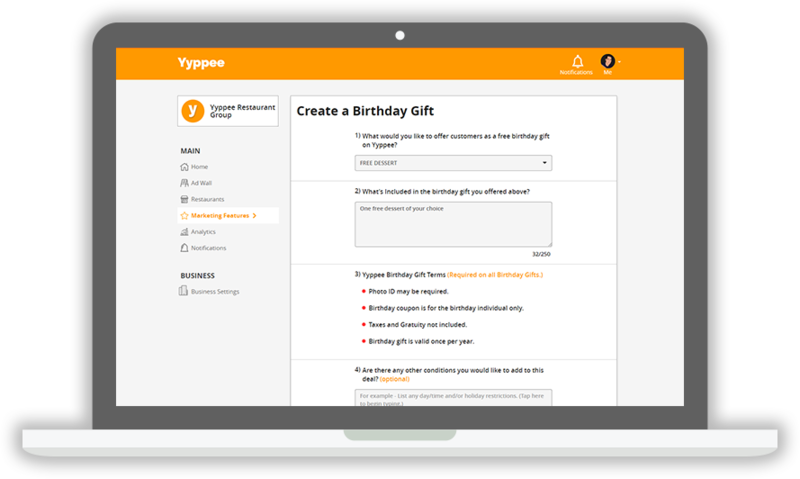 Offer birthday and anniversary gifts and Yyppee will automatically invite customers into your restaurant during their birthday and anniversary months. If you’re running deals on 3rd party sites such as Groupon, LivingSocial, or Restaurant.com, expand your reach by letting Yyppee customers know about them as well. 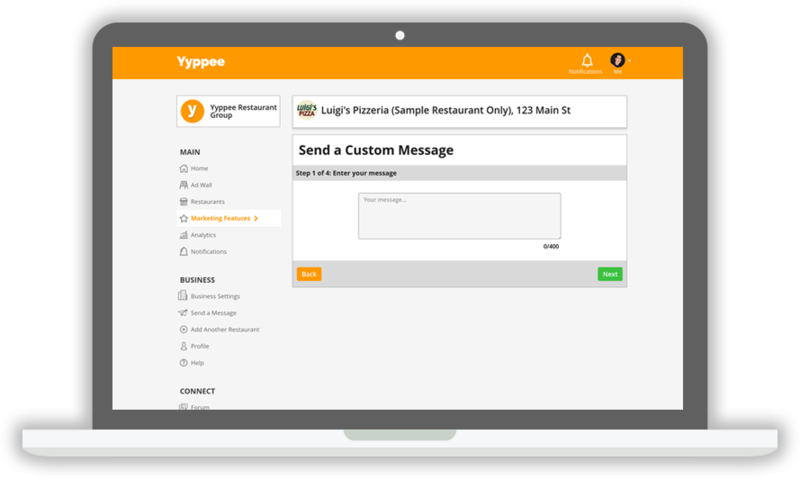 Yyppee automatically engages Diners to come into your restaurant more often using push notifications to alert them every time you update any one of your restaurant’s marketing features. 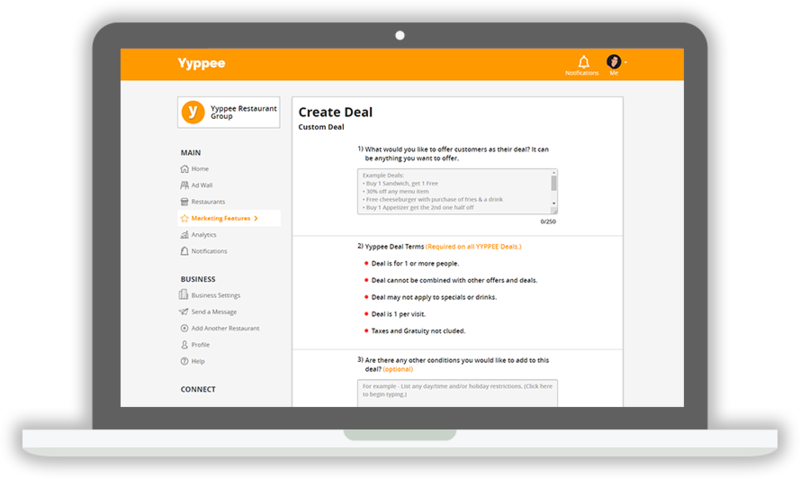 Attract customers by creating any deal or offer you like. Run your offer as long as you want. Keep all the profits for yourself. We'll get you all Setup! 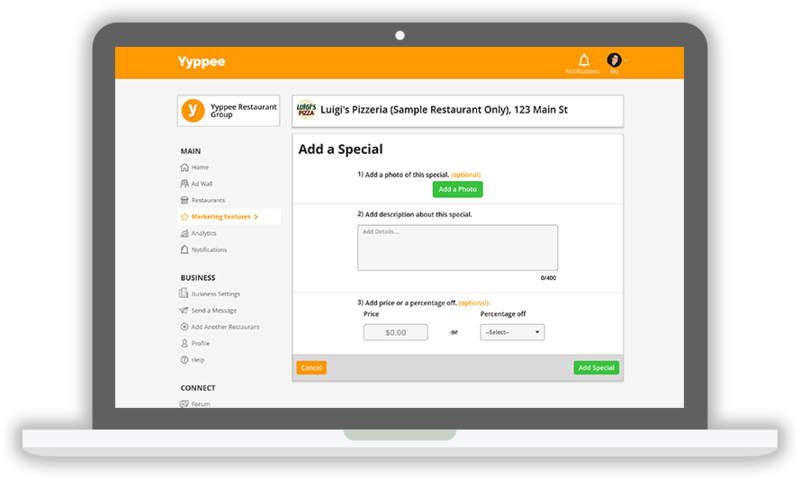 How many restaurants would you like to add to the Yyppee Platform?